What is quite striking about the service is the clean interface, allowing to browse quickly through all options. On first sight the interface looks less stunning then the fancy screens offered in Moz and Raven, but when you spend much time in the tool, you appreciate the speed of browsing (as you would on any site ;). 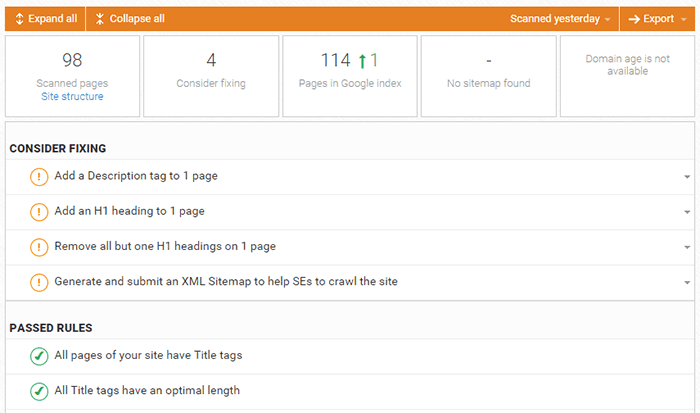 The initial overview already gives you quick navigation links to important area's as well as indicators about the status of important stuff (ranking, traffic, social media presence, backlinks, etc. You can even choose to have a compact or wide dashboard. Especially if you have many sites, the compact overview allows you to see all information in one screen. 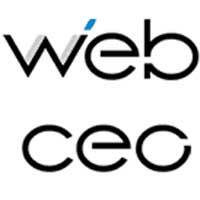 Basically WebCEO can be used as a full SEO solution. Whether it does or doesn't serve all your needs is something that you should try out. Many SEO consultants use several tools, and this could be one of them. As far as pricing goes, the free version is nice to try out, and paid options start at $69,- for 5 sites, with more plans for higher demands. Especially the cheap plan makes it probably the best buy for small agencies. If you need to monitor more sites, you have more options. For larger agencies, the PRO plan is probably the best option. It starts at $99,- with some additional scanning costs. Also, WebCEO has a desk-top version that can be acquired for $499 (40% off if you buy within the trial), without the need for a subscription. You can check out all pricing options for WebCEO on their sign-up page.